Effective July 1, Dr. Hao Su joined the Computer Science and Engineering (CSE) department as a tenure-track assistant professor at the University of California San Diego. At a macro level, he explores fundamental problems in broad disciplines related to artificial intelligence, including machine learning, computer vision, computer graphics, and robotics. The computer scientist will participate in two recently-established research centers in UC San Diego's Jacobs School of Engineering: the Center for Visual Computing, led by CSE Professor Ravi Ramamoorthi; and the Contextual Robotics Institute, led by CSE Professor Henrik Christensen. "Robotics and the combination of computer vision and computer graphics are major growth areas for our department," said CSEChair Dean Tullsen in welcoming the department's newest faculty member to UC San Diego. "Hao Su will play an influential role is those research centers while also teaching and working closely with students at both the graduate and undergraduate level." "This is an amazing opportunity for a fledgling professor to make his mark in a university that has made substantial commitments to two of my areas of concentration," said Su. "My thrust will be to push the frontier in both fields to become a bridge that connects intellectuals across disciplinary boundaries." Professor Su's research in deep learning and artificial intelligence has many potential applications for robotics, autonomous driving, virtual/augmented reality, 3D reconstruction, smart manufacturing, and more. After working on the large-scale 2D image database ImageNet , Su is now leading construction of ShapeNet, a large-scale, 3D-centric knowledge base of objects. His work in computer vision and computer graphics generally covers joint analysis of 2D images and 3D shapes, crowdsourcing for large-scale dataset construction (e.g., ShapeNet), and scene understanding. The newly-minted professor is also the first author on two oral papers at the highly-competitive CVPR 2017 (which accepted only four percent of papers submitted for oral presentation). In "PointNet: Deep Learning on Point Sets for 3D Classification and Segmentation", Su and his co-authors discuss the creation of a neural network to "directly consume an unordered point cloud as input without converting to other 3D representations first (such as voxel grids). The second oral paper explores "A Point Set Generation Network for 3D Object Reconstruction from a Single Image". This paper focuses on deep learning for generating combinatorial data structures, in particular, geometrical point sets. In a separate "spotlight" paper at CVPR, Su and his colleagues will introduce the Synchronized Spectral CNN (SyncSpecCNN), a spectral representation-based neural network. The authors ascertained that SyncSpecCNN achieved state-of-the-art performance on various semantic annotation tasks, including 3D shape part segmentation and 3D keypoint prediction. Rounding out Su's participation in CVPR will be two research posters: "Learning Shape Abstractions by Assembling Volumetric Primitives," which explores a learning-based approach for 3D design; and "Learning Non-Lambertian Object Intrinsics across ShapeNet Categories," about inferring optical material properties from a single image of an object. Professor Su's co-authors on the CVPR papers and posters include colleagues from Stanford as well as researchers from UC Berkeley, Tsinghua University, Microsoft Research (Asia), University of Hong Kong and the University of the Chinese Academy of Sciences. 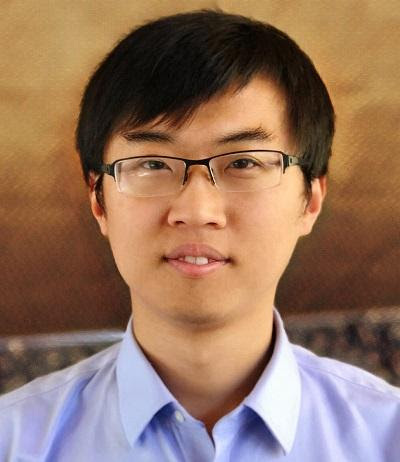 Beyond making the move from Palo Alto to San Diego and participating in CVPR, Hao Su will be busy in coming months. He is actively looking to hire postdocs and graduate students with interests and strong background in applied machine learning (computer vision, computer graphics, robotics and machine learning). Su also has a paper accepted to SIGGRAPH 2017 with colleagues from Stanford and Adobe Research. His August 1 presentation in Los Angeles will explore "Learning Hierarchical Shape Segmentation and Labeling from Online Repositories." Meanwhile, Su is a Program Chair for the 5th International Conference on 3D Vision (3DV 2017), which takes place October 10-12 in Qingdao, China. San Diego Comic-Con 2017 gets underway on Thursday, July 20, and while a lot of students and some faculty from CSE will likely be attending the pop-culture event, one CSE professor will have the opportunity to talk about her own field of academic work along with some big names from the world of science fiction. 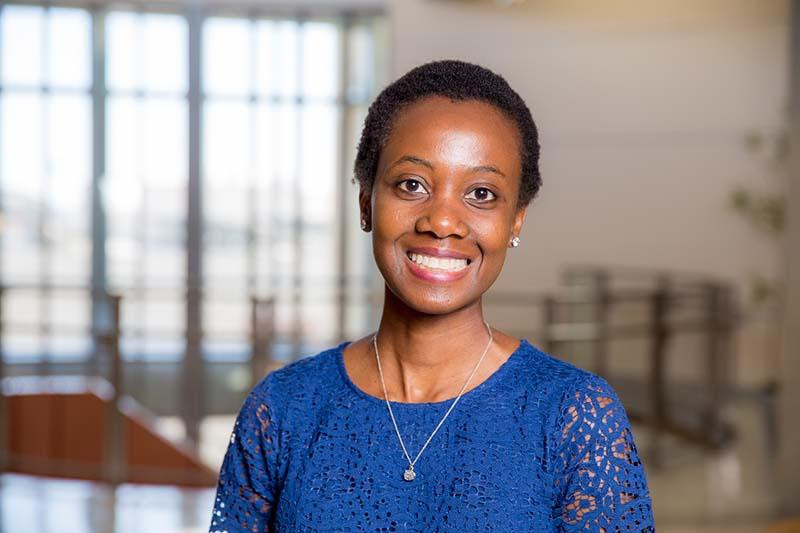 CSE assistant professor Ndapa Nakashole, a member of CSE's Artificial Intelligence Group, will be among the select few researchers invited to discuss the future of artificial intelligence with producers and screenwriters of some well-known science-fiction films and TV shows. The panel is organized by the Fleet Science Center, and will feature Hollywood writers Craig Tilley (who writes for and produces Marvel's Agents of S.H.I.E.L.D.) and William Wisher, Jr. (who wrote the screenplays for The Terminatorand Terminator 2: Judgment Day). Other sci-fi writers and artificial intelligence researchers are also likely to join the conversation which will take place on Friday, July 21 at 4:30pm in room 24ABC of the San Diego Convention Center. To set the stage, organizers said they hope to pose the big questions about the future of AI: "How does real AI science compare to its depictions in movies, on TV and in books? Could AI save the world -- or be its doom?" In the spring Nakashole taught a course on statistical natural language processing (NLP), one of her main research interests in addition to machine learning. In her session at Comic-Con, Nakashole is likely to drawn on her experience with developing algorithms that enable computers to understand and generate human language. Specifically, she is working on machine learning methods that learn language from large collections of data. Some of the problems she hopes to overcome related to acquiring knowledge, answering questions, recognizing and linking an entity, and "machine translation for low-resource languages." Later this month, Nakashole is an invited speaker at the first annual meeting of the Women and Underrepresented Minorities in Natural Language Processing (WiNLP 2017). The July 30 meeting will take place in Vancouver, Canada, where it's co-located with annual meeting of the Association for Computational Linguistics. The CSE professor recently got word that her paper has been accepted to the Conference on Empirical Methods on Natural Language Processing (EMNLP 2017), which takes place September 7-11 in Copenhagen, Denmark. Many of the students studying and living on campus this month look decidedly younger than usual for the University of California San Diego, primarily because they are younger. 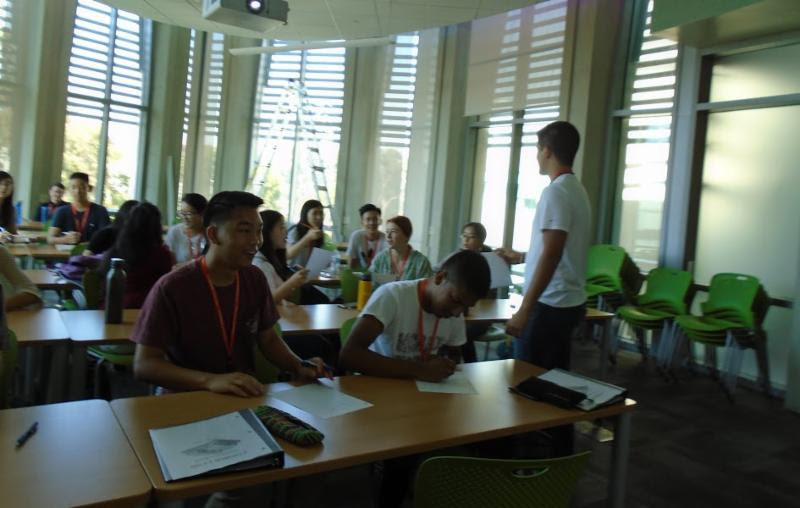 One group of 205 high school students moved into dorms this week to attend the 2017 California State Summer School for Mathematics and Science (COSMOS), a month-long residential program that also exists on three other University of California campuses (Davis, Irvine and Santa Cruz). Designed for 8th to 12th graders, COSMOS at UC San Diego divides the students into 10 'clusters' to delve into different fields ranging from biodiesel from renewable sources to tissue engineering and regenerative medicine, earthquake engineering and global climate change. One such cluster immerses students in learning about computers and programming, and computer science is a big component of two other clusters - so much so that students are expected to have prior programming experience. Paradoxically, there is no programming prerequisite for students who want to take the popular "Computers in Everyday Life" (Cluster 1) at UC San Diego. It was the first choice of all 20 enrolled students, including 13 female and 7 male students. "We're really happy to have this ratio given that the national average for women in computer science majors is hovering around 18 percent," said Computer Science and Engineering (CSE) assistant teaching professor Leo Porter, who is co-teaching the cluster this summer with lead instructor Curt Schurgers, a Qualcomm Institute engineer who also teaches in CSE's Summer Program for Incoming Students (SPIS). Cluster 1 students mentored by grad teaching assistants. While there have been nationwide efforts to improve the number of students who have access to programming courses in high school, not all high schools have such courses yet. "After six summers teaching this cluster, we noticed a growing number of students who were exposed to computer science in high school," said Schurgers, who will become a teaching professor this fall in the Electrical and Computer Engineering (ECE) department. "At the same time, we saw some students who did not have those opportunities, and the gap was growing. So we made the decision last year to direct the computing cluster toward students who had no prior computer science exposure." Instead, the only pre-requisite for entry into the cluster was that applicants must have taken Algebra II or Integrated Math (hence most of the students are juniors and seniors). The focus of Cluster 1 is on embedded computers that control everyday devices, analyze signals and collect data. The course aims to make embedded computing accessible - primarily by exposing the students to real-world, hands-on projects. "Students learn programming languages while working on projects that we've taken time to construct in a way that makes them accessible to computing novices," said CSE's Porter. "Ultimately, they are driven to learn new programming skills because they want to add GPS to their Android app, for instance, or to super-impose themselves into a scene from their favorite movie." As the students settled into their classroom (CSE 4140) for lectures, they also moved into the Embedded Systems Lab (CSE 3219), where they will do most of their assignments and programming projects. The curriculum began with students learning how to use AppInventor to create Android apps. Later they will learn just enough about programming languages to complete specific projects. In week two, Schurgers and Porter have added a new focus on image manipulation using the embedded Raspberry Pi processor (with students learning to process images on Pi in the Python programming language). Week three will have students doing Arduino programming in C/C++. Students will spend most of their final week on campus working on their final projects. "We're not trying to make them expert Python or C++ programmers in four weeks," explained Porter. "Our goal for these students is for them to realize that the barrier to creating amazing things with computing is much lower than they might have thought, and to set them up for success when they explore computing more in the future." 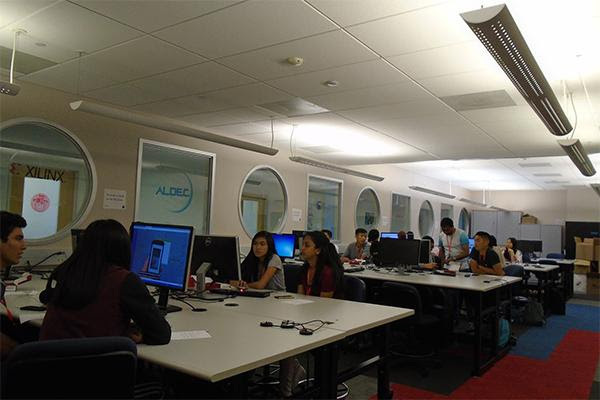 While Cluster 1 now assumes no prior experience with programming, the COSMOS program at UC San Diego also decided to offer a cluster designed for students who did have prior experience. "We decided to create a completely new cluster for students with prior computer-science exposure and an interest in embedded systems and robotics," said Schurgers, who is also co-teaching the summer program on Robot Inventors (Cluster 10) with ECE professor Michael Yip. "In Cluster 10 we build on their programming and show them electronics and mechanical engineering in a very interdisciplinary way." Both Schurgers and Yip are affiliated with the new Contextual Robotics Institute (led by CSE professor Henrik Christensen). The cluster uses the classroom in room 2315 of Jacobs Hall for lectures, and the students work on projects in Jacobs Hall's basement maker space. Read the full CSE news release. As of early July, 15 Computer Science and Engineering (CSE) Ph.D. candidates affiliated with the Center for Networked Systems (CNS) have graduated or are expected to graduate in the academic year from October 2016 through September 2017. Unlike last year, when half the Ph.D. graduates went to work for Google, there is much more variety in their waiting employers this year. Here's a recap of this year's CNS graduating Ph.D. class (in reverse chronological order), starting with three students tentatively scheduled to defend their doctoral dissertations between now and the end of August as members of the Ph.D. "Class of '17". Yuxing (Danny) Huang (Ph.D. '17) is interviewing for postdoc positions as he puts finishing touches to his dissertation. His final defense is scheduled for August 31 before his co-advisors Alex Snoeren and Kirill Levchenko, who co-chair his faculty committee. Huang uses economics to study malicious behaviors on the Internet, including the economics of a wide variety of ransomware to better understand victims and how many of them pay in response to ransom demands. Huang received his B.A. in Computer Science from Williams College in 2011, the same year he enrolled in the Ph.D. program at UC San Diego. He did back-to-back summer internships at Google in 2014 and 2015. On August 28, Tianyin Xu (Ph.D. '17) will defend his dissertation on hardening cloud and datacenter systems against configuration errors, but he already has a great job lined up. He will become an assistant professor of Computer Science next January at the University of Illinois at Urbana-Champaign (UIUC), where he accepted a tenure=track appointment pending completion of his Ph.D. Xu's advisor, YY Zhou, taught at UIUC for seven years before joining the UC San Diego faculty (and CNS) in 2009. For his part, Xu's research focuses on the reliability and security of computer systems, and in particular, large-scale software systems deployed in the cloud and in datacenters. In 2017 Xu received CSE's Doctoral Award for Research, and last November he received the Jay Lepreau Best Paper Award at the 12th USENIX Symposium on Operating Systems Design and Implementation (OSDI 2016) for his paper on "Early Detection of Configuration Errors to Reduce Failure Damage." In 2013 and 2016, Xu presented at CNS Research Reviews, and he did summer internships in 2013 and 2015 at former CNS member company NetApp. This fall, Eric Seidel (M.S., Ph.D. '16, '17) will join Bloomberg LP in New York after defending his Ph.D. dissertation on August 2. His research interests include programming languages, data and ubiquitous computing. As a graduate research assistant in the lab of his advisor Ranjit Jhala, Seidel built a tool to synthesize counter-examples to type errors. The tool performs type-checking along with execution, and produces trace demonstrating of how a program gets stuck. Seidel also worked on a refinement type-based verifier for Haskell. Together with Jhala and recent CNS and CSE alumna Niki Vazou, Seidel implemented an efficient testing framework using refinement types to prune the input search space. Seidel received a B.S. in Computer Science from the City College of New York in 2012. In addition to the three Ph.D. candidates preparing for their all-important dissertation defenses in August, 12 other researchers in CNS-affiliated labs have already completed and defended their dissertations as of July for the 2016-2017 academic year. Read the full news release with bios of 12 other 2016-2017 Ph.D. graduates affiliated with CNS. In September, San Diego will be one of the stops for a national outreach effort undertaken by federal agencies to make small businesses more aware of the funding opportunities for which they may be eligible. 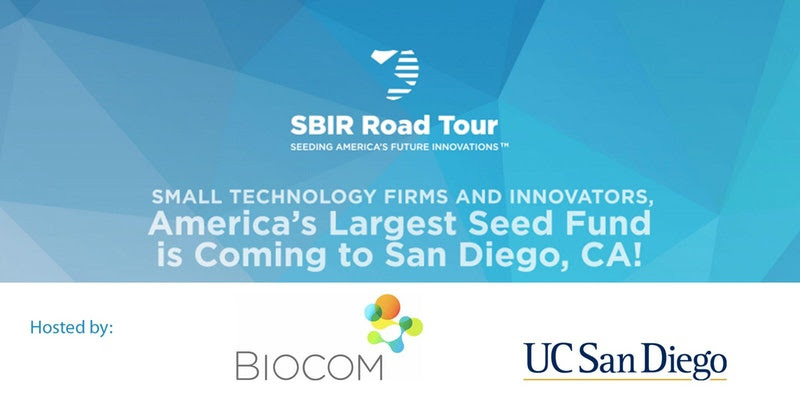 The industry group BIOCOM and UC San Diego Office of Innovation and Commercialization will host the San Diego leg of the SBIR Road Tour. The SBIR Road Tour aims to convey what it calls "non-dilutive technology funding opportunity" provided by federal agencies through two programs: the Small Business Innovation Research (SBIR), and Small Business Technology Transfer (STTR) pograms. Federal and state program managers representing $2.5 billion in early stage funding have been invited to present at a series of events to technology entrepreneurs and innovation supporters from across the United States. This event is a coveted opportunity for those involved in advanced technology communities, including women-owned and minority-owned firms. While the majority of people attending the workshop will be from small technology companies, including corporate executives, innovators and entrepreneurs, the event is also open to university researchers who can benefit from SBIR/STTR grants via partnerships to undertake research in collaboration with small technology businesses. University researchers cannot apply for SBIR/STTR grants directly, only in partnership with a small business. Both businesses and university researchers however can benefit from this opportunity to hear directly from federal agency program managers, and from meeting one-on-one with program decision makers (and for university researchers to network with small businesses in the San Diego region that may need a campus partner to carry out critical research that may be at the core of an SBIR/STTR grant proposal. The Jacobs School of Engineering offers a variety of ways to support the Department of Computer Science and Engineering. As the 2016-'17 academic year gets underway, please consider giving online to the CSE Engineering Tutor Program or the Paul R. Kube Chair of Computer Science. You can also honor your favorite teacher when you donate to the CSE Teaching Endowment Fund.